“Crazy Rich Asians” is generating plenty of buzz in Hollywood -- with energized fans flocking to see the groundbreaking comedy, which premiered this week on top on opening night. It's a glitzy send up airing the dirty laundry of the filthy rich in Singapore. It's also the first Hollywood film led by an almost entirely Asian cast since "The Joy Luck Club" in 1993. "A lot of people have cried the second they see the Asian faces on screen speaking English, speaking their truth. It means something to kids and people to see images that reflect themselves," said Constance Wu, who plays Rachel Chu, the star of the romantic comedy. "Finally, we can be seen and heard," said Michelle Yeoh, who plays Eleanor Young, the mother of Rachel Chu's boyfriend Nick Young. "Asians fall in love. We actually have to go and meet the parents, you know. We are proud of our Asian descent and it's so nice to see it on the big screen." 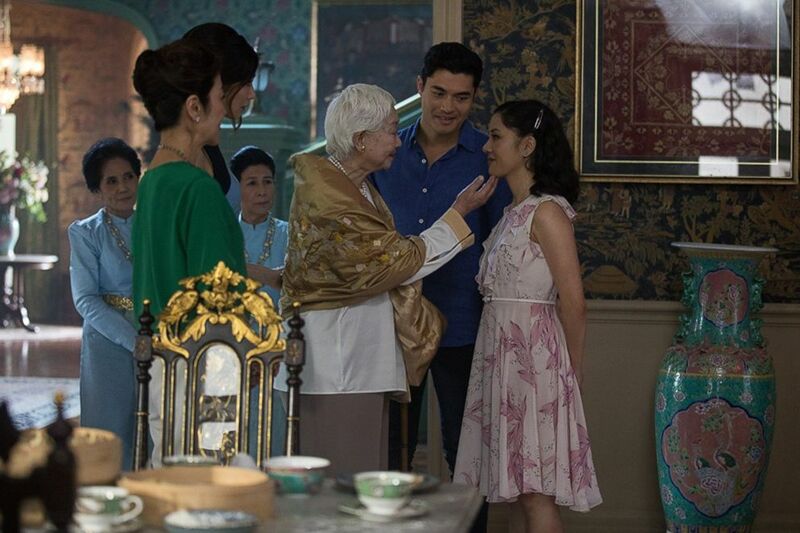 Michelle Yeoh, Constance Wu, Gemma Chan, and Henry Golding in a scene from "Crazy Rich Asians." And it's not only the Asian-American community turning out in droves to support what the filmmaker says is "not just a movie, but a movement." Critics are hailing it as the glittering rebirth of the rom-com, with a twist. "It's definitely that," Henry Golding, who plays Nick Young, said of the film's love story. "Everything else is just additional to it." "The real core of what people leave the cinema feeling is that love that Rachel and Nick have," he told "Nightline." "The world that, that story just so happens to live in is a wealthy one. But it doesn't mean to say that exact story couldn't be portrayed with middle class, with people in poverty. It's such a universal story." The film has all the makings of a summer hit, with its own dashing Prince Charming in the form of Golding. Golding has his own Cinderella story. He'd never acted before and left his honeymoon in South Africa early to audition for the movie. "My wife was totally understanding. She knew kind of we were right on the precipice of something great. So I owe her still," Golding said, laughing. "He really has a natural talent, and it was not very hard to act like I'm in love with him, because his charm is just effortless," Wu said of her co-star. "Even in his screen test and his chemistry read. You know, he's a little nervous, but even the nerves were like, your nerves were so charming." Wu, of ABC's "Fresh Off the Boat," plays all-American girl Rachel Chu. She admitted that donning her character's couture outfits wasn't always as glamorous as it seemed. "At first, it's just so fun, but then several hours later, your feet are killing you," Wu said with a laugh. "So you get both sides of it." Yeoh, a global superstar known for her powerhouse roles in blockbusters like "Crouching Tiger Hidden Dragon," plays the powerful matriarch. She's described her character, Eleanor Young, as less of a tiger mom and more of a dragon mom. Ken Jeong and Awkwafina discuss their roles in "Crazy Rich Asians." "I think moms are all like that, because dragons protect their treasure, and their treasure are their children. I mean, she would throw herself in front of a bus if that would save her son," Yeoh said. "Crazy Rich Asians" is based on the international best-seller by the same name, written by Kevin Kwan. The book has sold 1.8 million copies in the U.S. Kwan said he thinks the book had such global mass appeal because it was relatable. "I think it's because it's just, it's at the heart of it, a very universal story. So readers around the world, you know, from India to Switzerland, have been telling me, like, 'We're not crazy. We're not rich. We're not Asian. But your family is so much like the one, you know, that I live,'" Kwan told "Nightline." Kwan said he'd walked away from a huge payday offered by a streaming service, instead choosing to gamble on bringing it to the silver screen. "To me, it wasn't even a choice. I felt like we needed a big, old-fashioned Hollywood opening to really prove to the world that a movie like this could succeed," Kwan said. And everyone on the cast seems to share that dream, including Ken Jeong, the breakout star of Hollywood hits like "Knocked Up" and "The Hangover," who said he was willing to take on any role to be in the film. "I said, 'Listen, you know, whatever you need for me to do.' It was like, 'Hey, if I'm not in it, I will support this to the hilt. I'll be at the red carpet. I will, I believe in this,'" Jeong told "Nightline." Jeong's on-screen daughter, played by hip-hop comedian Nora Lum aka Awkwafina, has her own breakout scenes in the movie. "She steals the movie. I mean, it's even as a filmgoer, my wife and I, we just smile every time, you know, she's in the movie," Jeong said. "Ken is legendary. He's an Asian-American icon, and to be able to talk to him, you know, about the industry and about, you know, what it's like. ... He's very helpful. And he's amazing," Awkwafina told "Nightline." 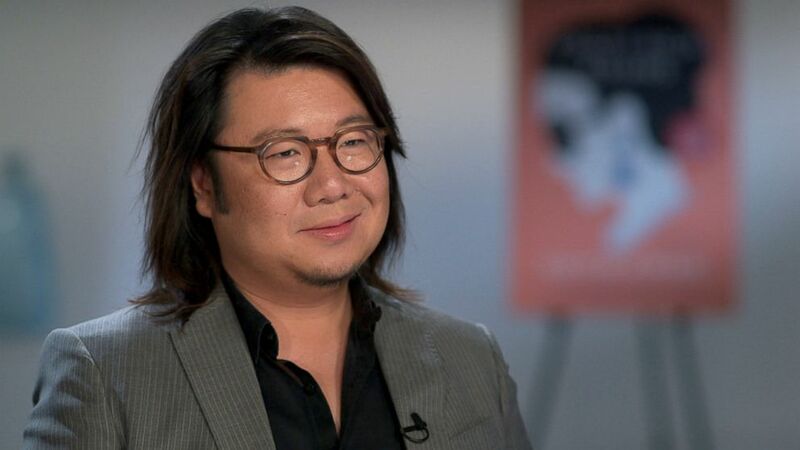 "Crazy Rich Asians" author Kevin Kwan discusses his book and the film adaptation. With the box-office success of films like "Black Panther," representation has become a Hollywood rallying cry. "I think the larger issues is the fact that the opportunity hasn't been given to actors or to sort of anyone in the industry to be able to play out these roles," Golding said. And ultimately, the film is not just a universal love story, but an Asian love story. During one scene in the movie, Rachel Chu makes dumplings with Nick Young's family. It's a scene that may evoke emotion among Asian-Americans who see the movie. "I think it's because it's so rare to see these scenes that are so familiar to us played out on the big screen and given the Hollywood treatment. You know, I met someone yesterday who took his 70-year-old father to a screening. And he said, 'I've never seen my father cry before, but he cried at the screening,'" Kwan said. "And then he told me, you know, he never thought in his lifetime he would see another movie like this. So it's so deeply touching to me that it's found, you know, so much love."